I’ve made changes to the layout of my home lab. 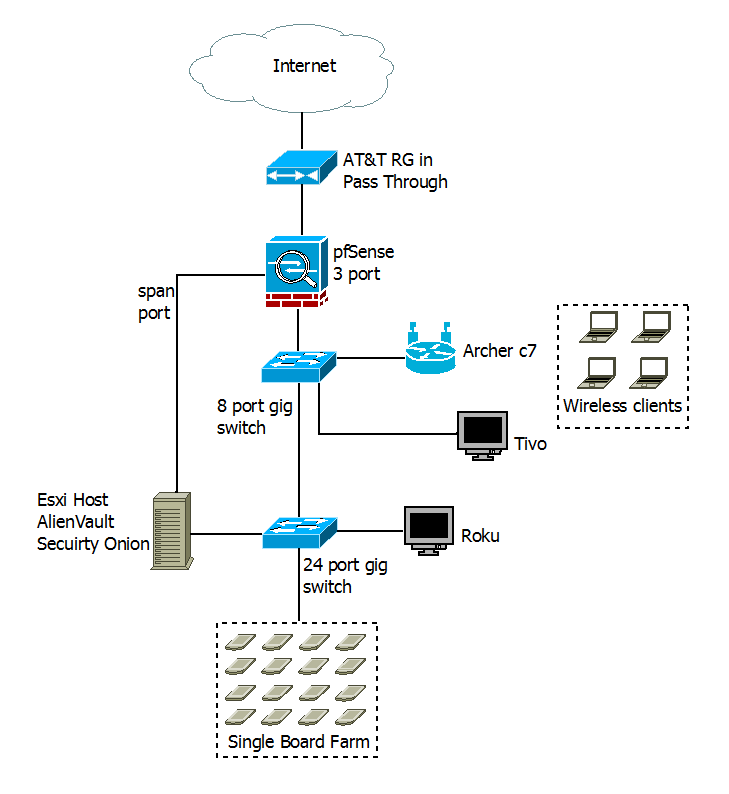 This is the current plan, because I can’t afford the Cisco switch I want right now. I also don’t think it’s worth getting a second line to the house, since I plan on moving by October. The new design is to have my home network and the lab network mixed. I do have one more wireless router I could put in place to isolate the lab, but not going to for right now. If I need to limit things for something, I can always change. It’s also split between 2 floors, which is why there are 2 switches. The Single Board Farm is 6 Raspberry Pi B, 4 Raspberry Pi B+, 2 Raspberry Pi 2, and once I can get them, Odroid C1 (probably 2). This entry was posted in administration, Home Lab on 2015/04/25 by Chris J.